We conduct a comprehensive evaluation of the patient. Optotypes for literates, illiterates, pre-school children and elderly persons. 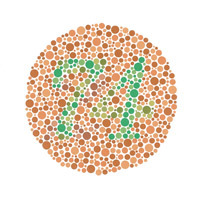 Establishes the difficulty or impossibility to fully appreciate certain range of colors. Automatic detection of Myopia, Astigmatism and Hyperopia. 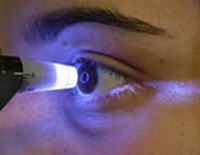 To identify diseases such as: pterygium, conjunctivitis, cataract, glaucoma. To diagnose and assess the risk of glaucoma. To determine the existence of diabetic retinopathy, retinopathy by hypertension, retinal detachment and other back-of-the-eye disorders.